When Max, Earl Blakehurst, meets Verity he sees a downtrodden servant. He doesn't recognise her as the daughter of a colonel under whom he used to serve. The life Verity's now living is untenable, so he proposes to set her up as his mistress. It's only once Verity's finally agreed, once Max is beginning to lose his heart to her, that he discovers her true identity. Max would never have suggested this lady become his mistress! 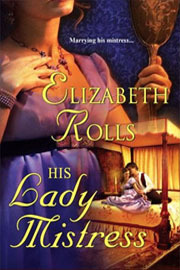 Did you miss His Lady Mistress when it came out? If so, this is your chance to download it FREE as part of Harlequin's 60th Anniversary celebrations. Just click Here!